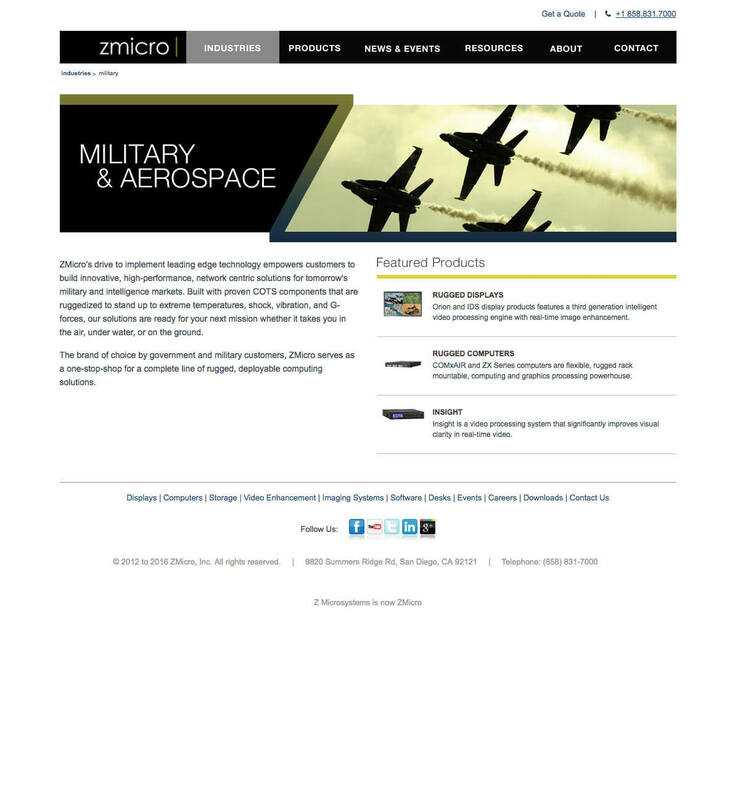 Ruggedized technology company, ZMicro, hired Bop Design to create a website that serves both B2B and B2G marketing objectives. The website and brand messaging better resonates with decision makers in the following target markets: military technology, medical, broadcast, air traffic control, and transportation. 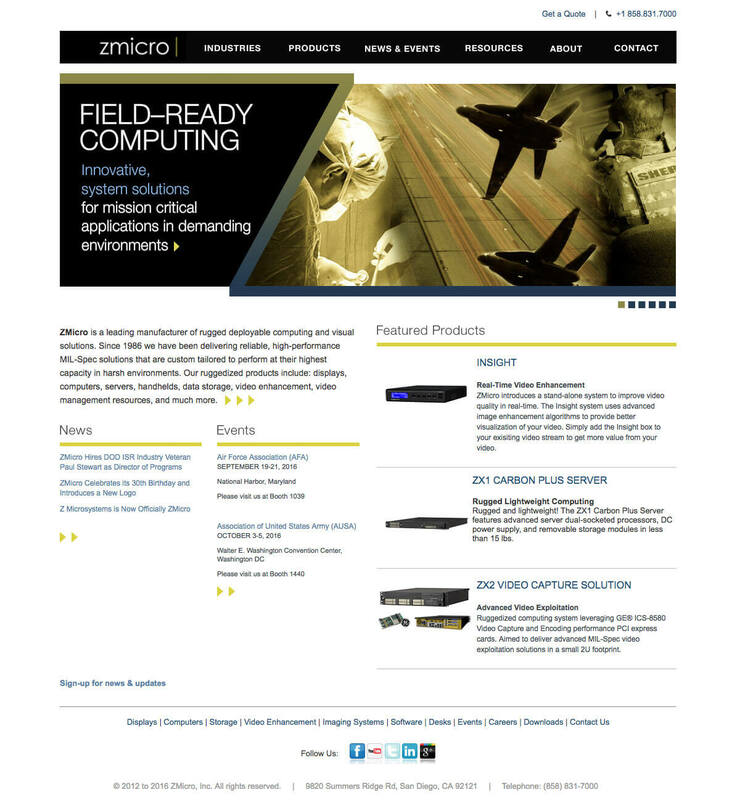 The website serves as a “living, breathing” resource center on ruggedized technology topics—channeling visitors to the appropriate area of the website in a timely, intuitive manner.